Large maille rectangulaire en argent, pour un style chic et moderne. Large rectangular silver link, for a modern and elegant style. 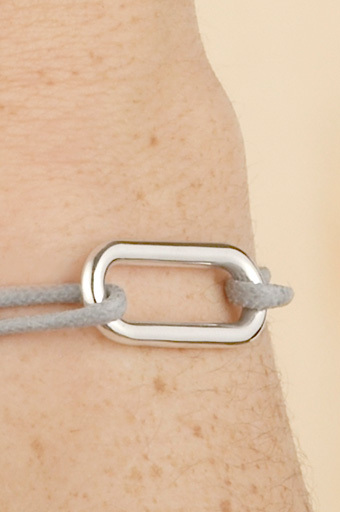 (The model is wearing the maillon XL bracelet with a grey link).